Bolivia Yellow Fever Vaccination Card. Yellow Fever Virus, Vaccine, Symptoms. Yellow fever disease or yellow fever virus, is caused by the female Aedes aegypti mosquito, also known as the yellow fever mosquito. By law, Bolivia requires you get a yellow fever vaccine (shot) and carry a yellow fever vaccination card (sometimes called a yellow fever immunization certificate) only if you plan to travel to tropical areas of Bolivia. Biministerial Resolution 01/2007 states that everyone over 12 months of age must have a yellow fever vaccination card or immunization certificate to enter Bolivia. However, Ministerial Resolution 0028 was passed on 21 January 2009, whereby the yellow fever shot will be required only of foreigners who will be traveling to zones at risk of yellow fever, and they must have the yellow fever vaccine a minimum of 10 days prior to entering Bolivia. In practice, however, immigration officials tend to be very lax about the yellow fever rule. Few of them ever ask to see proof of this vaccination, but since there are occasional random exceptions, we are providing this information so that you can decide in an informed manner whether or not you will spend the effort and money necessary to get a yellow fever shot. In addition, keep in mind that even if proof of the yellow fever shot is not required by immigration officials, if you do plan to visit a tropical area, especially in Northern and Eastern Bolivia, you do risk contracting the disease. Yellow fever is a virus, or viral infection, that causes symptoms which are extremely painful such as a raging fever, chills, vomiting, headaches, delirium, and swelling. People with yellow fever symptoms who do not get treatment soon enough experience kidney and liver failure and eventually death. Liver failure causes the skin and whites of the eyes to turn yellow (jaundice). Symptoms appear 7 to 30 days after being bitten. The virus is detected by a blood test and was officially diagnosed for the first time in 1793. The yellow fever vaccine is the most effective method of prevention. A single yellow fever vaccination will protect you from the virus for up to ten years. 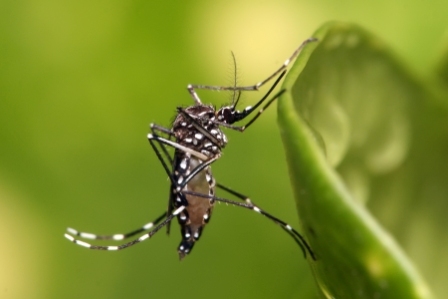 Using mosquito repellent on your skin and clothes, wearing long sleeves and pants, tucking your pant cuffs into boots, hanging mosquito netting over your bed at night, placing screens on your windows and doors, and staying away from known infected areas are other ways to ensure you don't get the yellow fever disease. Certain areas in Bolivia are more prone to yellow fever epidemics. Bolivia's northern and eastern hot, humid tropical jungle regions are typically the most infected areas. However, mosquitoes lay their eggs anywhere temperatures are just warm enough and water exists; therefore transmission of the yellow fever virus is possible in cooler areas as well. Yellow fever transmission occurs in two ways: between monkeys and between humans. The yellow fever mosquito squirts the virus into its bite. Other mosquitoes that bite a monkey or human that is already infected then become infected with the virus themselves. These newly infected mosquitoes then bite other humans or monkeys and the yellow fever virus spreads. If not prevented, it can reach epidemic proportions. Human beings cannot transmit yellow fever to other human beings. Getting a yellow fever vaccination prior to traveling to Bolivia is a requirement for US citizens and residents of a few other countries. Doctors normally recommend getting the yellow fever shot 10-14 days prior to traveling. When you get this vaccine, your doctor must issue a certificate showing the date you got the shot, and you must carry it with you when you travel to Bolivia. This yellow fever vaccination card, or immunization certificate, is printed on a yellow card in some countries. Some travelers report that their doctors in the US are recommending they do NOT get the yellow fever vaccine. Others refuse it for health, age, religious or other reasons. However, you risk both not being let into Bolivia AND not being let back into the US when you return. There have been cases where travelers to Bolivia have been asked by U.S. customs officials in ports of entry such as Miami to PROVE that they have NOT contracted yellow fever while in Bolivia. "Most countries will accept a medical waiver for persons with a medical reason for not receiving the vaccination. It may be useful to obtain written waivers from foreign country consular or embassy officials before departure. Travelers should contact the appropriate embassy or consulate for specific advice. Typically, a physician's letter stating the reason for withholding the vaccination and written on letterhead stationery is required by the embassy or consulate to issue a waiver. The letter should bear the stamp used by a health department or official immunization center to validate the International Certificate of Vaccination." If you request a tourist or special purpose visa from a Bolivian consulate overseas PRIOR to traveling to Bolivia, you will be asked to include a copy of your yellow fever vaccination card along with the other documentation they require at the time you apply for the visa. Not all tourists are required to obtain a visa to travel to Bolivia. Therefore, some tourists do not find out about the immunization requirement until they arrive in Bolivia. So will you really need a yellow fever vaccine to travel to Bolivia? Tourists entering Bolivia overland from Chile and Peru have conflicting reports. Some state immigrations and customs officials are not requesting they show a vaccination card at all. Others report that at overland border points Bolivian officials are requiring it; however tourists who have not had the shot are directed to clinics that can administer the vaccine on the spot. Where can you get the yellow fever vaccine? Since the virus is a tropical disease, the vaccine may not be readily available in your country. In some U.S. states, for example, you must contact your State Health Department several weeks in advance because it can take them quite a while to order the vaccine for you. This may or may not be the case in other countries as well. It may also be one of the reasons clinics in countries that neighbor Bolivia have the vaccine on hand at border points. Whether or not government officials request you show them your immunization certificate also seems to depend on where you plan to travel within Bolivia. If your travel plans include jungle areas, they often do ask you to show proof of vaccination. If you plan to limit your travel to Bolivia's Andean region, they appear to be more flexible and may not ask you to show proof. The same appears to be occurring at major airports. The Minnesota Mayo Clinic website, and the U.S. Centers for Disease Control (CDC) website contain a great deal of information on this topic and other health information for travelers to Bolivia and it appears to be updated fairly often. Find yellow fever vaccination clinics in the U.S.
Yellow fever, malaria and dengue are not the same. The difference between yellow fever and malaria. The difference between yellow fever and dengue.